There are different styles of writing a resume and our Sample Resumes give you a diverse option of the different resume templates available. 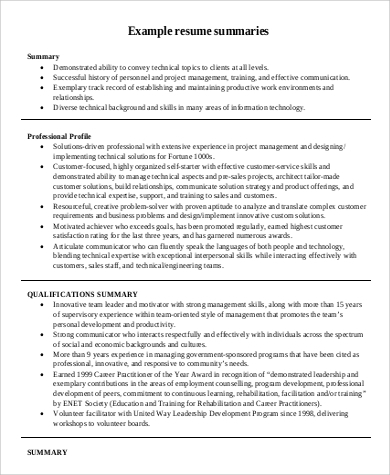 But what is the best way to start a resume? 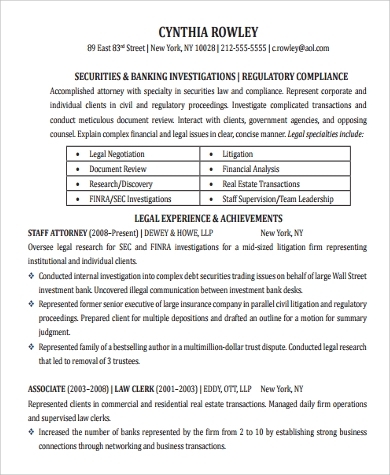 It is always best to start your resume with a summary. A resume summary is a quick way of getting a recruiter’s attention. This is where you showcase fundamental information about yourself. A resume summary is the very first thing that recruiters or potential employers see. Writing an exceptional one is your best bet to making sure it catches their attention and that they continue going through your resume. 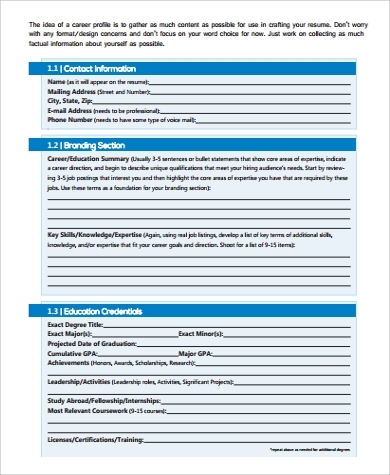 Here we have nine professional summary for resume samples that can help kick-start your way to a remarkable career. 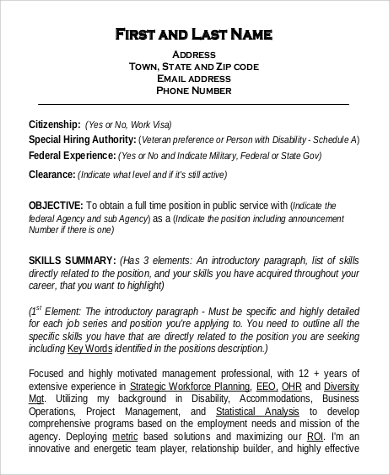 Anyone can use a resume to give their existing resumes an instant makeover. You can tailor it depending on your skill level or experience. 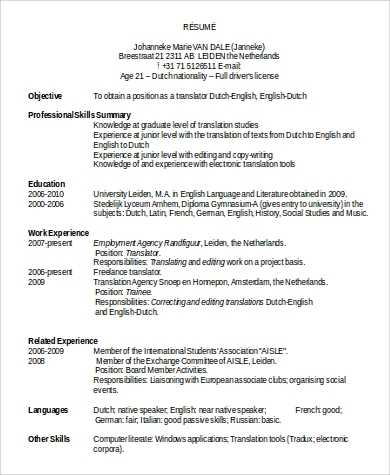 If you are a professional, the resume summary is the summary of your resume as a whole. This is where you emphasize your most impressive achievements. If you are changing careers, your resume summary should contain your transferable skills. This where you state that you are quick to adapt to new environments presented to you. If you have just recently graduated from college, you can customize your resume summary depending on the position you are applying for. Highlight skills and experience relevant to the position. 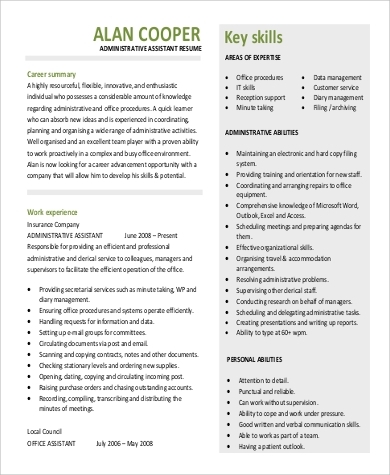 Keeping the resume summary as brief as possible is important. 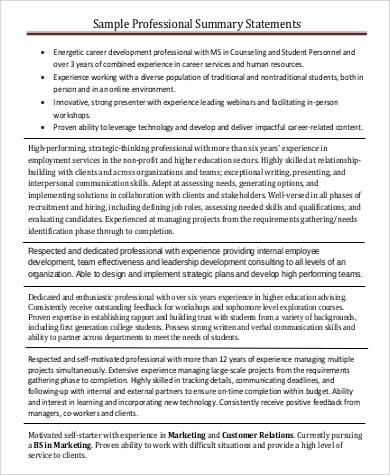 A few sentences that point out the highlights of your skills and experience is the main point of your resume summary. 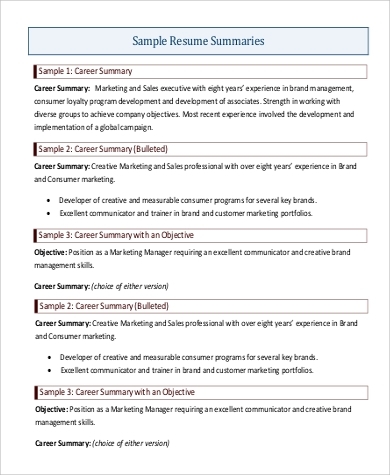 Referring to our Sample Resume Summary Statements and Resume Summary Examples can give you a wide array of examples that can help you build a resume summary fit for you. Recruiters do not spend a lot of time going through a resume, so the summary should help them directly understand what you can offer. It also helps them visualize how you will fair with the position they are offering. 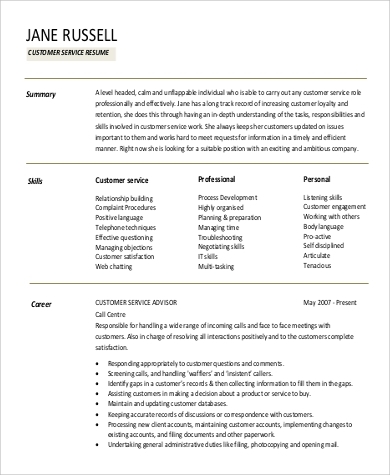 Since this is the part of your resume where you would sell yourself, choosing the right words to incorporate in your summary is very critical. Those three to four sentences should easily let the recruiters know that you are a person of value and it should be written it in a way that lets them know you are the one they are looking for. It should be true and authentic to what you are as a person and as a future employee. 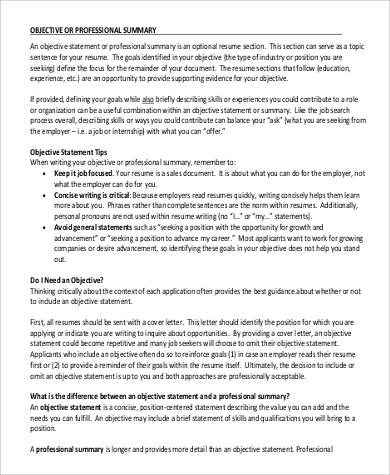 You can go through these Professional Summary Templates that are downloadable and can give you a better understanding of how to write an outstanding resume summary.